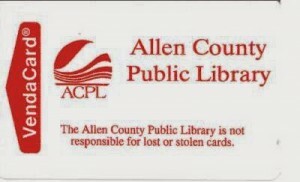 There is still time to join me on my annual group trip to the Allen County Public Library in Ft. Wayne, Indiana., this June. More details are on our announcement page. Every trip back to Indiana allows multiple trips to The Allen County Public Library Genealogy Department. I always learn something new.